We offer a choice of 5 shared rooms and one private room. Each room is characterised by a different music genre. Each room has been designed to suit both fans of the particular \'sound\' and those who may not be familiar with it. 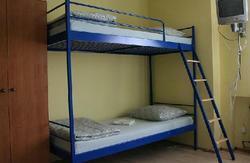 Additionally each 4 bed room can be rearranged into a double or twin private room upon request. Our common room is equipped with a large TV, Play Station 3, computers and kitchenette. Sound Hostel also has a sauna which can be used by anyone for a small charge. We are located in five floor building and we do not have elevator. We are open 24 hours a day, 7 days a week 365 days a year. We do organize breakfast on special order. Our service speaks English and polish. For all reservations for Euro Cup period (08 - 24.VI.2012) we will be taking a full payment at the time of booking. 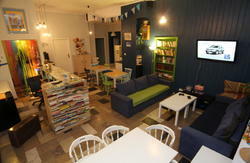 Our Hostel is located on Dlugie Pobrzeze street, number 16. The entry is on Mydlarska street. To find us you need to get to old town and then to Motlawa river. Then just find number 16. 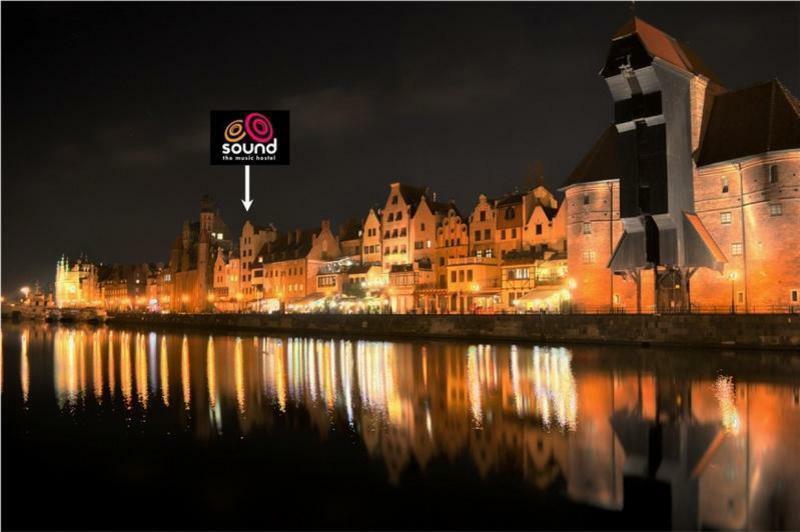 The Gdansk train and coach stations are both just a 10 minute walk away. There are also bus and tram stops just 5 minutes away.